I've known about this camp for quite awhile, but it's not close by and I had not done the work to get permission until now. The caretaker told me that there were several others who hunted, but visions of old coins and big silver were still dancing in my head. So, yesterday, my wife who does not hunt, and the dog, and I, took a road trip and spent the day hunting the grounds. It's a beautiful spot in the woods with interesting little 19th c. buildings and cabins , but the returns were sparse. 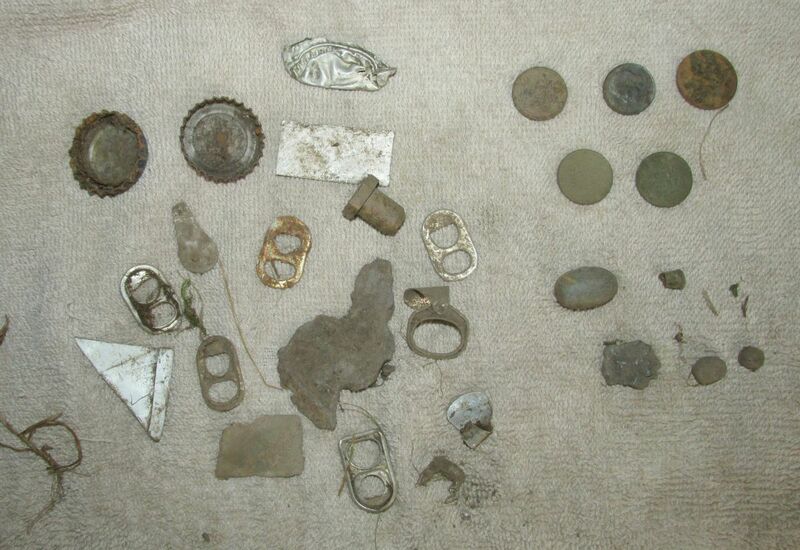 In my hunting of about 6 hours, I was able to find 5 coins and zero "relics". In fact, there are not a lot of non-ferrous signals to be found on the high ground away from the water. Everything has been very well swept up by previous detecting. 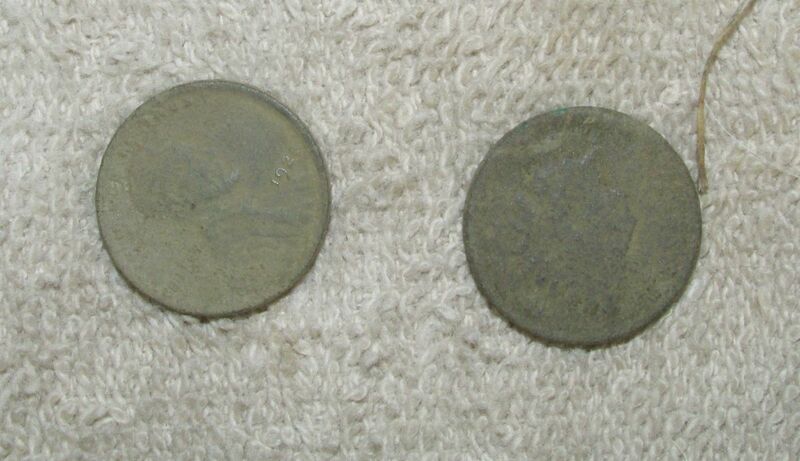 However, I was able to get my "two cents" for my efforts. 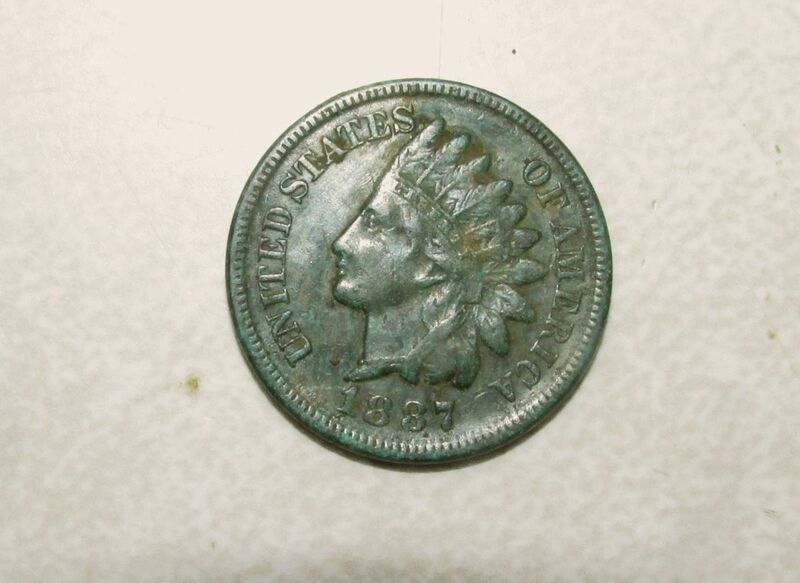 Down along the water on the sloped bank, I was able to find a single wheat cent, and a very crusty Indian cent. The other three coins were modern clad. And along with some buckshot, fired lead bullets, a little 22 cb casing and the usual aluminum tabs and bottle caps, that was it. After I got home, I soaked the two cents, and after awhile started picking at the crust on the Indian with a toothpick. Photos show the progression. 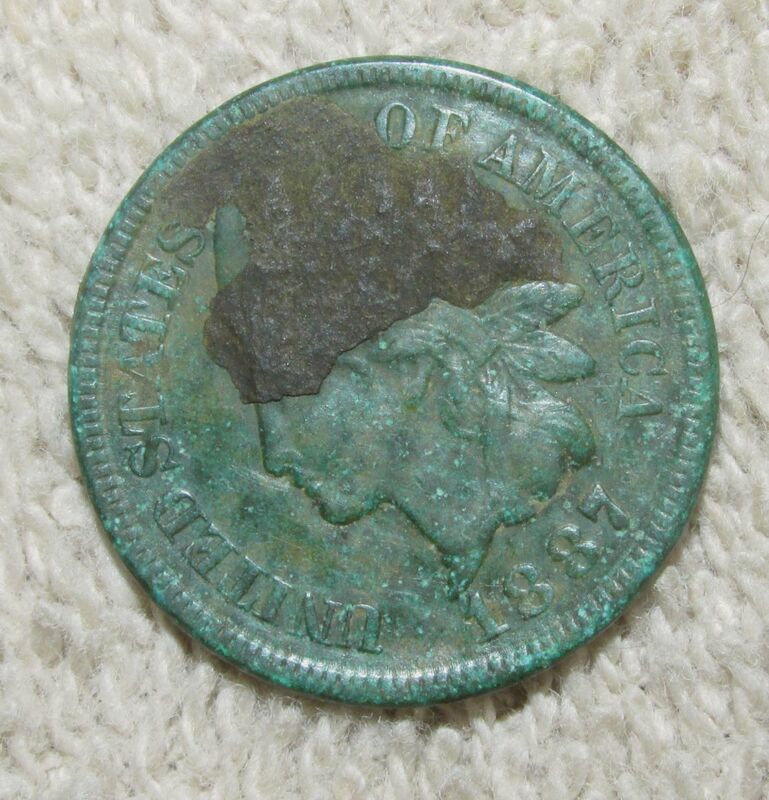 It's the nicest Indian I have ever dug, and appears to have been lost at the beginning of the campground's founding in the mid 1880's. 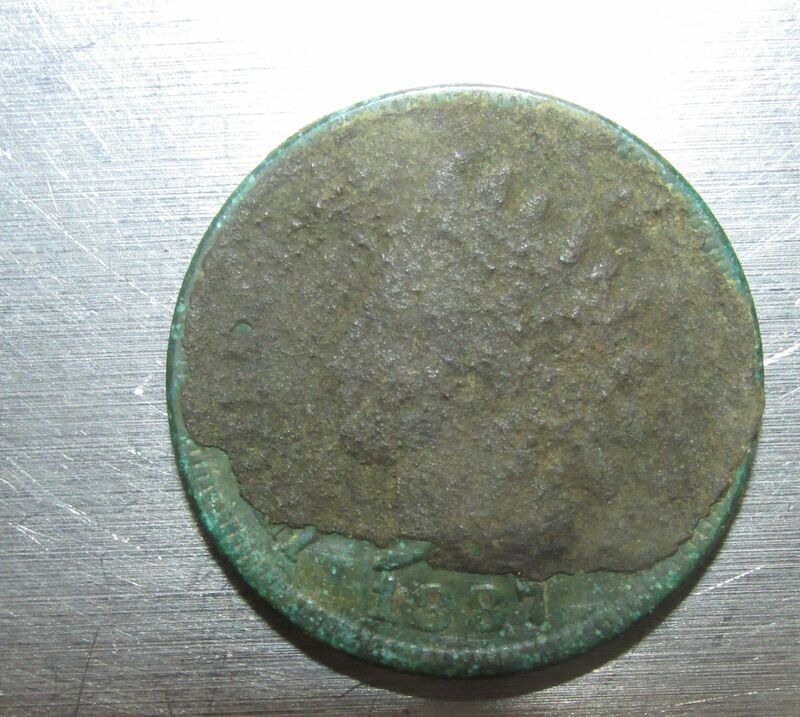 The wheatie is a very nice 1925 with very little wear. Hard work for two cents, but it was worth it.